1// Recap my amazing #10DaysinTexas vacation (I'm aiming for this Friday!). It's been sitting as a draft - I forgot to hit publish. Who does that?! 3// Send out two forms of snail mail. Again, does it count if its for work?? 5// De-clutter and sell items on FB Garage Sale Site. In the process. I've gotten rid of a bunch of stuff already, but still have lots to go! 2// Hold an engagement 'party' for Kenton and Kelsey. We weren't able to co-ordinate schedules in June to make it happen but I'm hoping we'll be able to figure out a day in July to hold it. I love planning parties! 8// Try 5 new recipes this month. I could eat BBQ and salads all Summer long. If you have a good summer salad recipe send it my way! 9// Blog every day in July. Allie, Faith, & Juliette are making that a lot easier with their prompts (check them out here), and though I may not use one of their prompts on a certain day, I am still going to try my hardest to blog every.single.day. Wish me luck! I have a reallllly good summer salad recipe. It's also obnoxiously simple. I'll email it to you so it's not all confusing via comment. 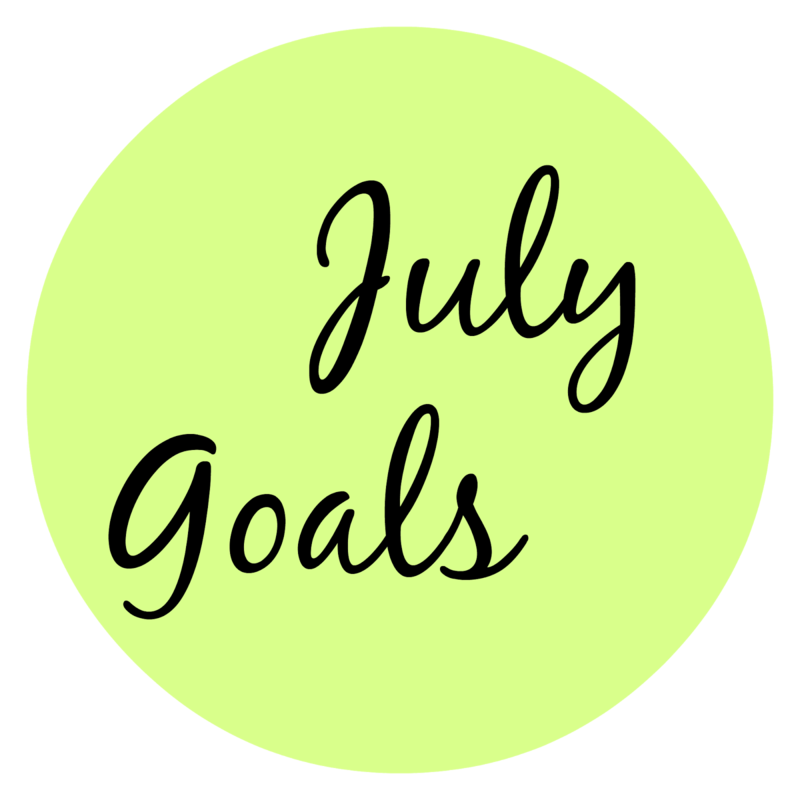 I'm trying to blog every day in July with them too! We got this girl!